For those familiar with Corian® who need a refresher or want to learn new techniques. 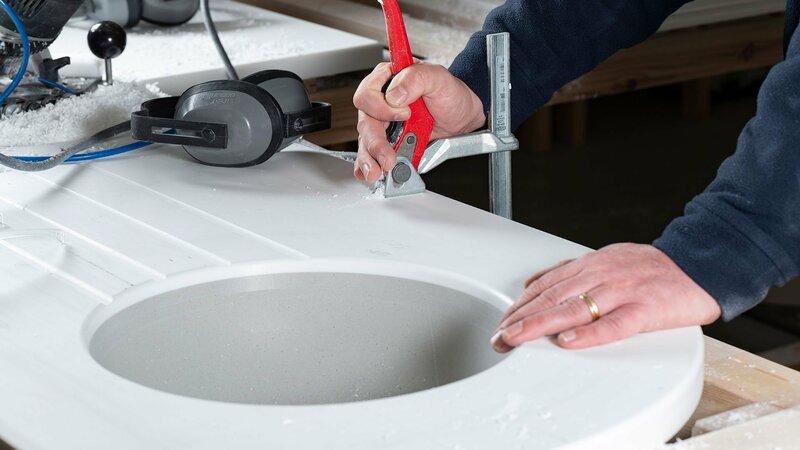 The One-Day Refresher Course targets fabricators of other 12mm Solid Surface products and existing Corian® fabricators who simply need a refresher or would like to learn new techniques. Courses can be held in your workshop or at our Training Centre in Leeds. The course covers everything listed in the Training Course Agenda below but it is run at a faster pace than the two-day course, as the fabricator should already be familiar with some of the techniques and terminology used.